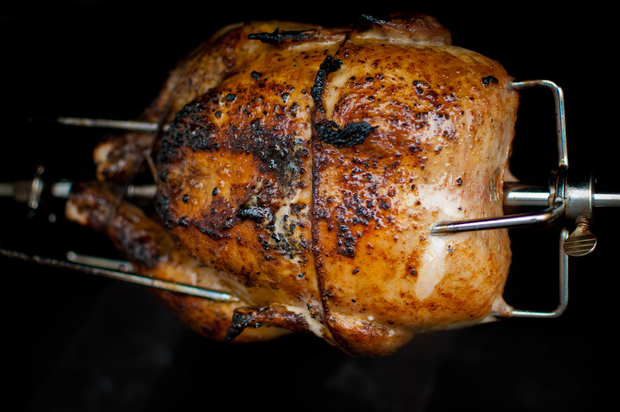 A restaurant serving traditional French rotisserie chicken opened its doors on Wednesday at 790 Ninth Ave. Poulette, a 12-seat eatery, offers antibiotic- and hormone-free chickens, which are served alongside potatoes that are cooked in the bottom of the 30-bird rotisserie for added flavor. Brussels sprouts, cauliflower, green bean casserole, ratatouille and homemade French tarts are also on the menu. Demand for Brenda Beener's vegan soul food was so strong that she switched from cooking in the corner of a bakery to opening her own restaurant. Beener, along with her son Aaron, opened Seasoned Vegan at 55 St. Nicholas Ave. in early May, offering a vegan take on traditionally meaty recipes such as gumbo and chicken and waffles. This Mexican joint prepares dishes using traditional methods, squashing avocados with a stone for the guacamole and rolling tortillas by hand. Fonda is scheduled to open its third location on Friday at 189 Ninth Ave., to join its Park Slope and East Village spots. The new restaurant will have 65 seats and will also serve a range of Mexican sodas, including Boing and Jarittos. The Italian marketplace Eataly added a special section that focuses on treats infused with Nutella. The nutty spread is being served on Eataly's bread, croissants, brioche and crepes. Eataly is located at 200 Fifth Ave.